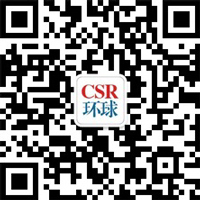 CSR world is a new media platform and thinktank of corporative social responsibility.We focus on the record and communication to the public about the influential, innovative corporate social responsibility and public welfare communication cases as well as the cuttingedge characters and stories in the field of public welfare. At the same time, we provide public advocacy planning and advisory services to businesses and organizations. GMT+8, 2019-4-20 10:15 , Processed in 0.042016 second(s), 19 queries , Gzip On.